Dr. Vijay Viswanathan addressing the students, research scholars and lecturers of Psychology Departments in Chennai. We launched "Healthy Mind in Diabetes" Clinics in all our branches on 21 March 2019. On the occasion of 23rd Death Anniversary of our Founder Prof M Viswanathan on March 1 2019 we organized few social activities in the hospital premises. This is a record 10'th year we are lighting all the iconic buildings blue in Chennai. 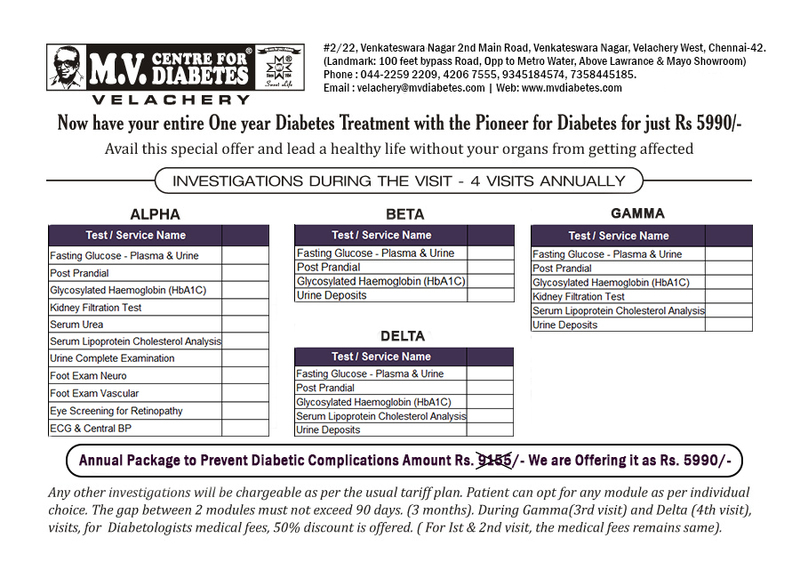 The RSSDI is the biggest Diabetes Association in India with 6000 Diabetologists from all over India. Dr Vijay Viswanathan, Head and Chief Diabetologist MV Hospital for Diabetes Royapuram, giving a talk on "HOW TO PREVENT AMPUTATIONS" in International Diabetes Federation Diabetes Complications Congress 2018. 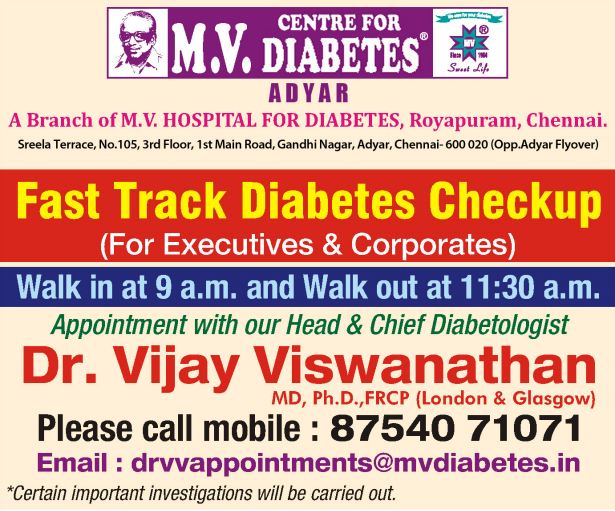 MV Hospital for Diabetes Royapuram has opened a new facility called the MV Institute for Advanced Diabetes Care. Honouring school children from CSI Higher Secondary for Deaf & Dump on Founder's Day on 24-08-2017. Yoga centre established in 2006 set up as a part of management of diabetes. 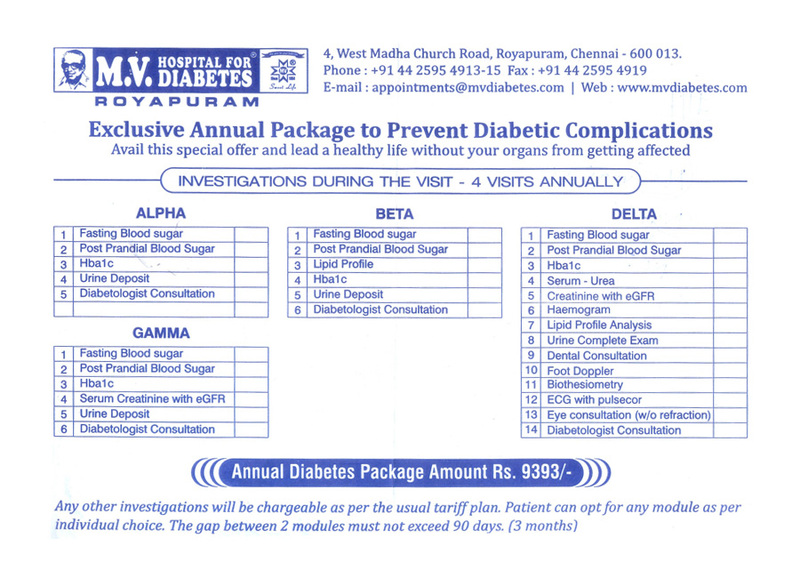 In the last 64 years, M.V.Hospital for Diabetes, Royapuram, Chennai has treated more than 350000 diabetics till date. We have established a state of the art Podiatry Department on par with International Standards to protect the feet and prevent amputation. The M.V. Hospital for Diabetes, Royapuram, Chennai has been conducting original research in yoga exercises for control of diabetes since 2006. M.V.Hospital for Diabetes, has a tie up with 23 major national medical insurance companies to offer cashless facility to you. We prepare Unique Diabetic Footwear made from specialised material in our own in-house M.V. Footwear manufacturing Unit at ROYAPURAM with expertise from Central Leather Research Institute [C.L.R.I.] and Central Footwear Training Institute [C.F.T.I.] Chennai, which are different from the MCR available in the local market. M.V. 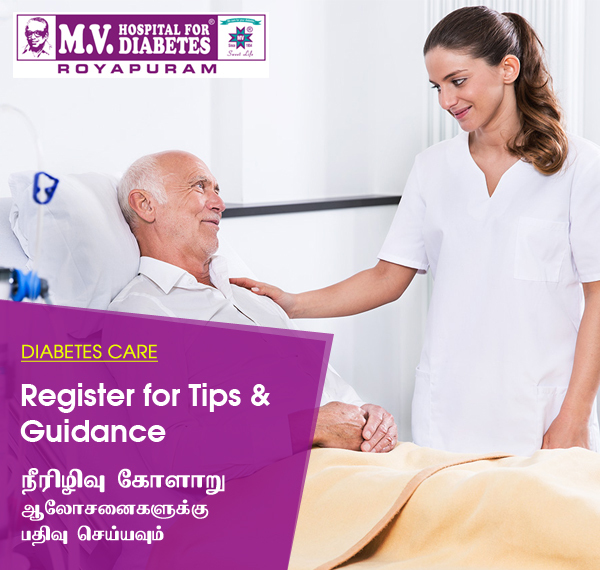 Hospital for Diabetes situated at Royapuram, Chennai, was established by late Prof. M. Viswanathan, Doyen of Diabetology in India in 1954 as a general hospital. 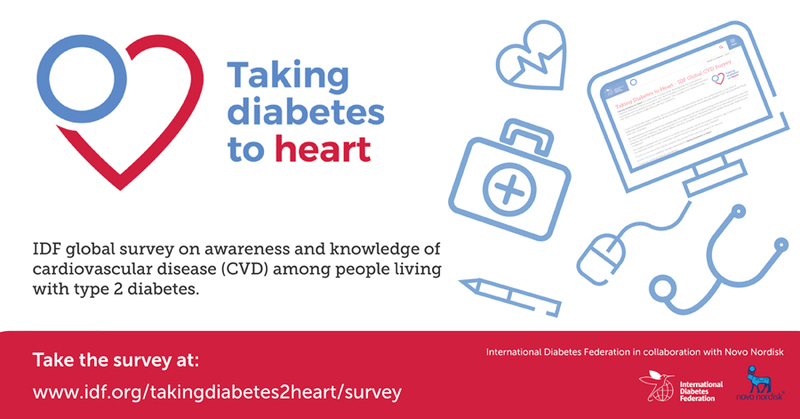 In 1971 it became a hospital exclusively for diabetes care. 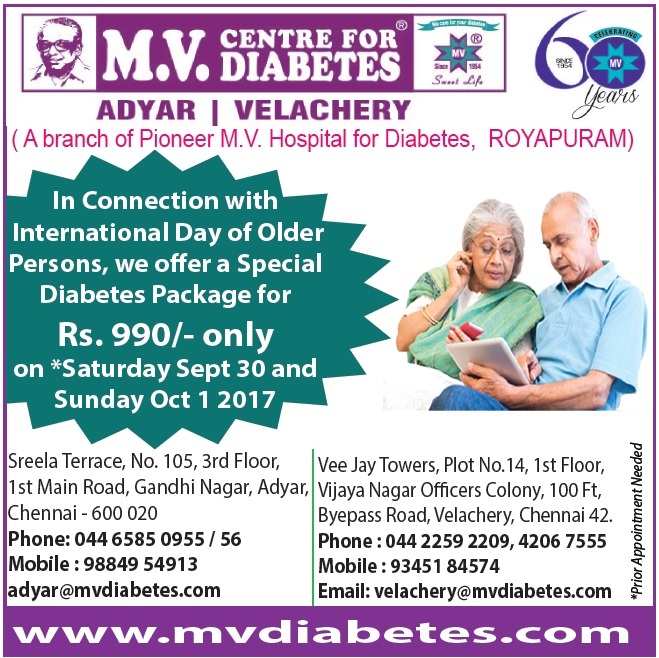 Dr.Manmohan Singh conveyed his best wishes to M.V.H for Diabetes, Royapuram for having completed 50 years of diabetes care and urged the Institute to raise the awareness of the policy makers and the general public about this major public health problem.